Healing Modalities « Spine Solvers Inc. Chronic pain resolves when damaged tissue repairs, the fascia returns to a neutral resting point, and the nervous system recognizes that balance has been restored to the system. How does that happen? Damaged tissue needs to be infused with oxygen to heal. Oxygen is carried to the tissue by the bloodstream. Therefore, circulation must be increased in order to increase the amount of oxygen to the tissues. 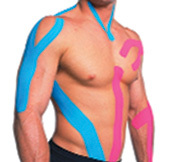 Kinesio Taping is a relatively new and powerful modality and a specialty of SPINE SOLVERS INC. It can positively affectscirculation, the neural receptors imbedded under the skin, muscle and fascia tension, tendon and ligament patency, and even scar tissue. The intelligent application of these modalities individually or in combination with each other, along with manual treatment, muscle re-education, targeted therapeutic exercise, postural correction, and movement retraining can go a long way toward quieting the pain and giving you back your life. Instrument Assisted Soft Tissue Mobilization (IASTM) is effective in treating acute or chronic conditions. The objective of IASTM is to break down scar tissue and/or fascial restrictions. IASTM is effective because it provides a controlled microtrauma to the affected soft tissue structures. 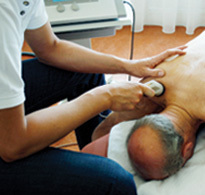 The technique stimulates a local inflammatory response in which there is increased blood flow and increased cellular activity.